Custom Metal Post Frame Buildings in Wisconsin | Greiner Buildings, Inc. 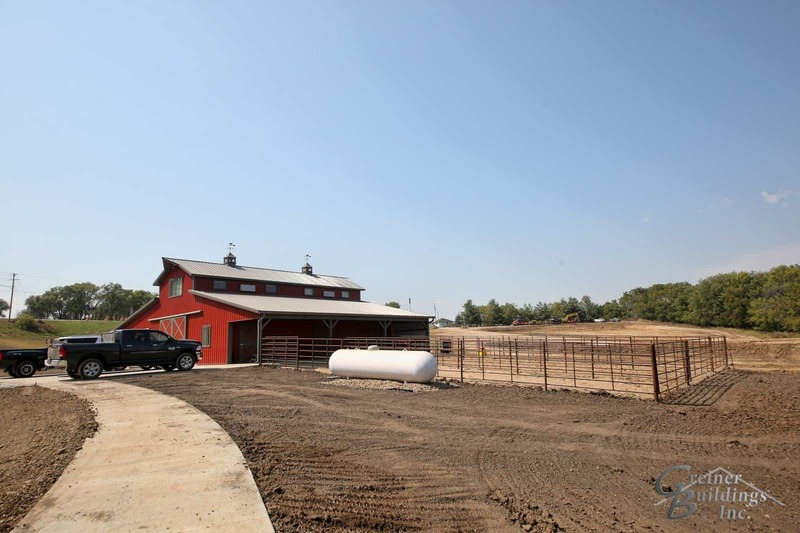 If you’re looking to build a post frame building in Wisconsin, you’ve come to the right place. Greiner Buildings, Inc is an Award Winning Metal Post Frame builder in the state of Wisconsin. We build custom buildings for the cities of Portage, Monroe, Dodgeville, Fort Atkinson, Oshkosh, and the surrounding areas. We also have an incredible design and repair team. “GB offers many options that allow a person to customize the building to fit their wants/needs. GB’s in-house designer was a big help in getting my building set up the way I wanted it. He worked closely with me to make sure the plans supported what I wanted, and met my expectations. I believe I got a custom building, built to suit my needs. I now have the dream shop I always wanted, because of the experience & knowledge of Greiner Buildings. Thanks, GB.” Brandon C.